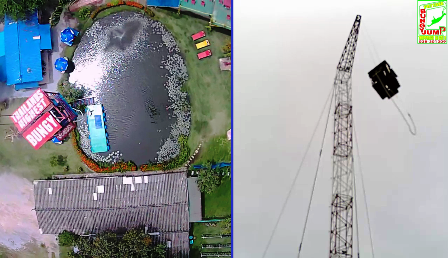 We have 5 different HD cameras located all over the Bungy Jump, and soon we will be adding additional cameras to the Human Slingshot. 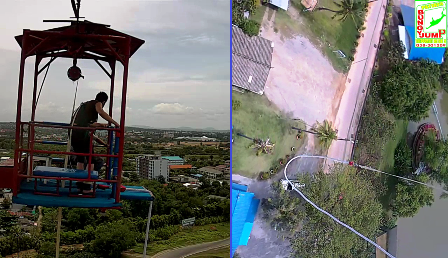 Each camera provides a unique view of Pattaya Bungy Jump. When you jump with us, your video will be unique. Its unique, because we automatically capture your experience from every angle. As you ascend, you are video’d from both the ground as well as from an automatic motion tracking camera located at the top of the crane. As you reach the top, the view automatically changes to a camera just a few feet away from you. Now is the perfect time to smile, wave and hold up a message from your friends. Just before you jump your camera view will change to a split screen quad camera view. We do this so you and your friends can watch your jump from every angle. 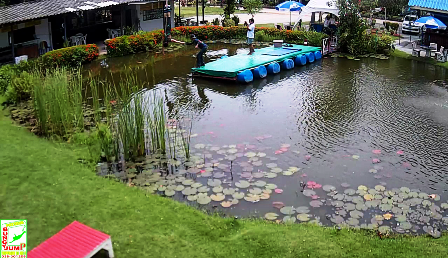 There is shot of your jump from the side, from the top, from the ground and one more unique view showing the extend of your jump close to the water. 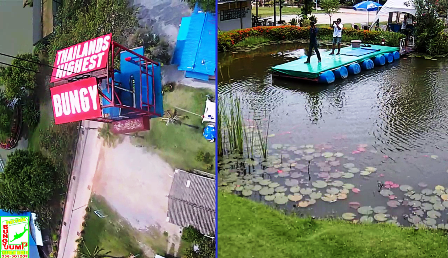 This really is something special and unique to Pattaya Bungy Jump and it comes FREE with your jump. 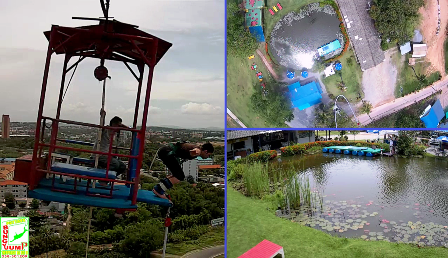 Experience on of the ultimate thrill of a life time by bungy jumping here at the highest bungy jump in Thailand, Pattaya Bungy Jump.